Always at the forefront of innovative work shoes production, Maspica Spa tells with the words of its owners the technical and creative supply chain that gives life to every new Sixton Peak line. Excellent footwear production for external and internal work, Maspica Spa boasts a wealth of experience of the highest level that today it offers on the international market with collections under the Sixton Peak brand. Its wide high quality range satisfies every need of security and comfort, thanks to carefully designed models for the most diverse uses and situations, and the more extreme climatic conditions. Wearing a pair of Sixton Peak means to enjoy the fruits of beyond thirty years of research and development, of avant-garde production choices and careful selection of materials from the best producers, first of all Vibram, Boa Technology, Primaloft and Huntsman. Comfortable and extremely resistant, strictly made in Italy and guaranteed by certifications EN ISO 20345 as well as the affiliations accredited with worldly authoritative certification bodies such as Satra Technology Center, TUV, Cimac, Ricotest, CTC and CSA, the shoes Sixton Peak are the result of careful evaluations and decisions from the Maspica team. Maspica Spa is a company that adopts management systems for quality, health and the environment and is certified according to the international standards UNI EN ISO 9001, 14001 and 18001. How is a safety shoe line born? “When it comes to work and safety, first we should refer to the current legislation at European level that distinguishes types of work shoes in relation to risk levels, to ensure workers’ safety. The process of developing a new line of shoes is composed of innumerable steps before to be launch on the market. It all starts with the generation of a high number of concept designs before finding the most suitable one. Inside Maspica the ideas come from many sides and especially from the research and development office, composed by designers, technicians and engineers who give life to what the market demands. But the real birth of a new line starts from the analysis of the market itself, or of what already exists, and of how can we improve it? But not only. We also rely very much on the requests we receive from distributors and retailers, who, thanks to direct contact with the end customer, can provide us with extremely valuable information. Another important source of useful information is the fairs in which we participate regularly , where we can acquire knowledge of both our partners’ and end users’ needs ”. Once the possibility has been identified to create a new line, how do you develop it? “First of all trying to figure out if we can find the right solution for an eventual problem that was raised by the market. Then we would consider economic aspects and feasibility analysis. It is a journey that requires more than a year of work, because it’s a question of finding a proposal that stands out. 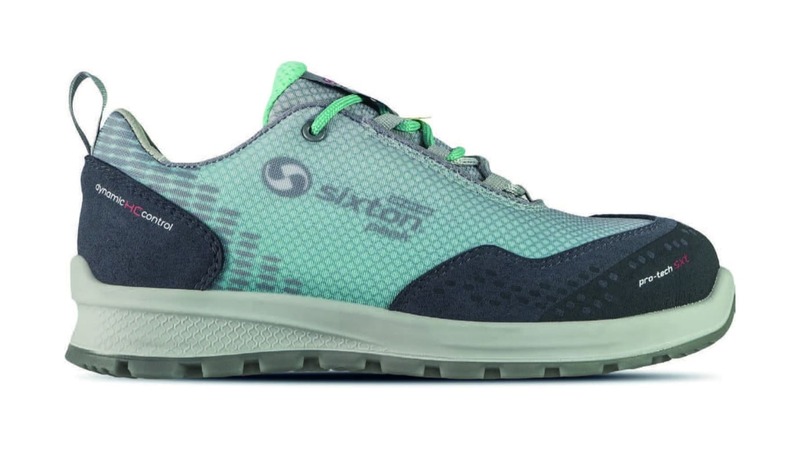 The new footwear has to offer concrete innovation, it must be something that users really want and aimed to occupy a particular niche in the market. The characteristics evaluated are physical and perceptive, together with the values and benefits that the potential user can draw from it. Once this phase has been passed, the definition of the type of footwear takes place: we start giving it shape and style, up to the design of every technical detail, from the upper to the outsole, from the point to the toe. In this phase internal interactions between technicians and creatives are continuous, useful for improving perception of some attributes and to find the right balance between form and function. Digital modeling facilitates the flexibility of interventions and the definition of the cuts of leather or fabrics needed to compose the upper. In parallel the selected materials are subjected to the verification of the standards and performance in real conditions at operating limit, a necessary step to make the shoe freely marketable throughout Europe and the world “. What must always be taken into consideration is that every worker uses shoes in the work environment for many hours and generally, often with constant and sudden movements. For these reasons they must fit perfectly to allow to carry out the work activity with the best comfort, guaranteeing maximum breathability, allowing adequate cushioning and every movement, without weighing it down and in total safety. At this point do you start production? “After having made the prototype, having performed in-depth product tests in our test laboratory, aimed at exceeding the stdards set by rule of law, and having shown the new one model by a number of people to acknowledge the validity of the result obtained, we pass to the production that we perform with the most modern technologies and with continuous controls on each production phase. At this point the market response will reflect the validity of our work “. Currently on which line are you working? “It is a very specific proposal that is added to to that of the H.ABC line dedicated to the sector Horeca, which together with new performances, and a new outsole baptized “Coltello” by Vibram, has been developed to respond to special needs of workers engaged in the restaurant sector. The new H.ABC concept, alligned with the HACCP specification, is already tested and ready for its final launch at the Dusseldorf fair next November ”.